Come and explore the summer camp for boys and girls ages 6 to 12 years old. Camp Choctaw will be held at Doug Tew . The registration fee of $100, per 2 week session, covers the cost of all supplies, a camp tee shirt, field trips, snacks, and art supplies. 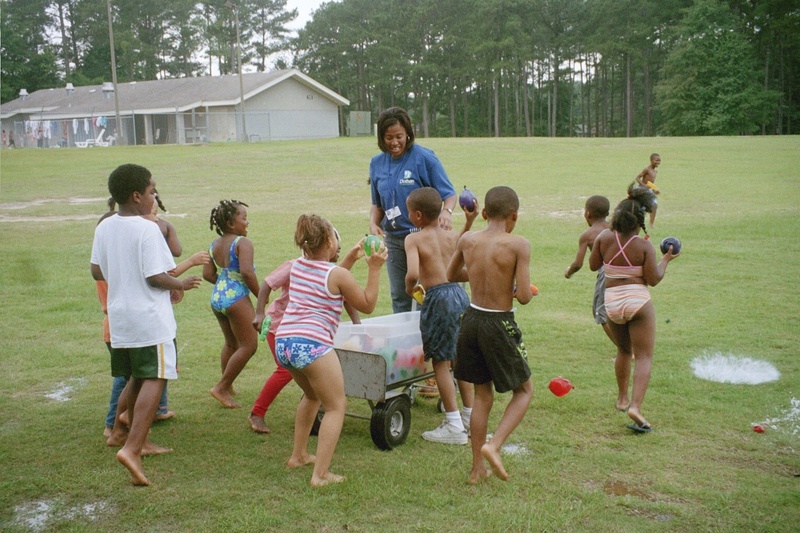 Camp Choctaw is only held during the summer from 7:30am to 5:30 pm, Monday through Friday. All new participants must provide a birth certificate at the time of registration.Please call (334) 615-3700 for more information. Come over and play. The Summer Playground Program provides structured, supervised events such as field trips, arts and crafts, gym games, and special events. This program is for ages 6-12 at Wiregrass Park and 6-15 at Andrew Bell and Walton Park. The registration is on a first come, first served basis, with a fee of $20 for the first child, $5 for the second child, and $30 for a family with 3 or more children. The playground program hours are from 7:30 am to 5:30 pm, Monday through Friday during the summer. All participants must provide a birth certificate at the time of registration. Please call (334) 615-3700 for more information. Youth ages 8-14 (boys and girls) will enjoy archery, swimming and lots of outdoor fun and fitness. This camp is held at Eastgate Park and instructed by staff. Fee is $50 and includes an Adventure Camp t-shirt. For camp dates, times, or more information, please contact Dothan Leisure Services 334-615-3700. Is lunch provided for Playground Program participants? Will the Camp Counselors be able to give my child his/her medication?